One of our readers and friends – who wants to be anonymous – told us details of all the songs.. 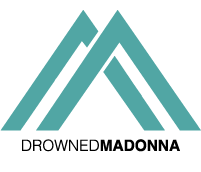 Apparently, among the songs that Madonna rehearsed for her Tears of Clown show there are: I’m So Stupid, Nobody’s Perfect,..
Joan Of Arc, Hold Tight, Iconic: which is your favourite song? Few days ago Madonna‘s Joan Of Arc, Hold Tight and Iconic were released. Which is your favourite track out of..
Joan Of Arc, Hold Tight & Iconic available on Google Play. Madonna‘s Joan Of Arc, Hold Tight & Iconic are available on Google Play. Click the links to download: Joan Of..
After the amazing Madonna performance at the Grammys, iTunes made available 3 new tracks: Hold Tight Joan Of Arc Iconic..